Emails like this, from an Associate Dean at the University of Iowa College of Law, have produced a strong case for Teresa Wagner, a conservative Republican suing a former dean of UICL. Wagner contends that she was not granted tenure because of her political beliefs and activism. A former professor of law at George Mason University and a lead counsel for amicus briefs to the Supreme Court, Wagner was passed over for both tenured and adjunct positions at the college several times, even though she was very qualified and came with the “highest possible” student evaluations. If her suit is successful, the University of Iowa College of Law—and other schools tacitly applying a political litmus test to their hiring decisions—may have to reconsider what Wagner has publicly called their “Republicans Need Not Apply” policy. Though Wagner’s case was initially dismissed, the United States Court of Appeals for the Eighth circuit recently reversed the decision, ruling that there was enough evidence for the case to go to trial. Wagner, on the other hand, has worked for National Right to Life Committee, and for the pro-life Family Research Council. Wagner also claims that the Associate Dean of UICL encouraged her to conceal the fact that she had been offered a tenure-track position at a conservative law school. 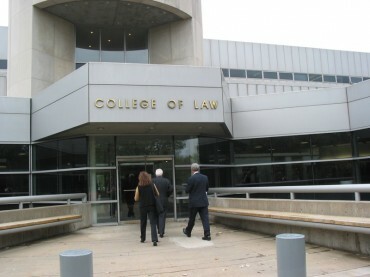 David French, senior counsel at the American Center for Law and Justice, notes that the Eighth Circuit Court’s ruling also cited the large ideological disparity at the college (out of the 50 members of the law school faculty, only one is a registered Republican) as a factor in their decision to allow the case to move forward. French cited Martin Gaskell’s lawsuit against the University of Kentucky, in which Gaskell, an astronomer with a PhD from UC Santa Cruz, was not hired in part because another professor feared Gaskell was “potentially evangelical.” Eventually Gaskell and the University of Kentucky reached a settlement of more than 100,000 dollars. The case is scheduled for trial on October 15 in Davenport, Iowa. Fix Contributor Kate Havard is a senior at St. John’s College.